Our organization is engaged in providing quality steel Tube Mills, manufactured by using high grade material. Our clients appreciates the Tube Mills which are situated all round the nation. 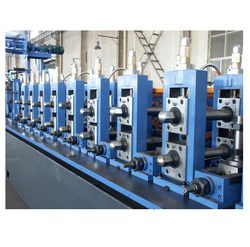 We are leading manufacturer and exporter of Tube Mill. We are offering a wide range of this product according to our customer requirement.